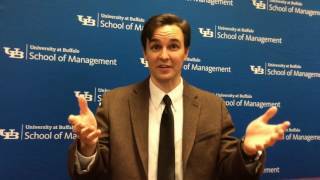 School of Management faculty are recognized worldwide as thought leaders in their respective disciplines. Last fall, the school welcomed four new faculty members to its lineup. Katerina (Kate) Bezrukova, associate professor of organization and human resources, earned her doctorate in social and organizational psychology from Moscow State University in Russia, as well as a bachelor’s and master’s in psychology. Her research interests include group fault lines and diversity, conflict evolution management, occupational health and work-life balance, and ethical dilemmas in engineering teams. For fun, she likes to photograph anything and everything, especially kids. When not taking pictures, she likes skiing and rock climbing. She also loves to travel, and her favorite country is Australia, where she was hugged by a kangaroo. Indranil Goswami, assistant professor of marketing, completed his doctorate in marketing and MBA at the University of Chicago. He also has a postgraduate diploma in management from MICA in Ahmedabad, India, and a bachelor of engineering from the National Institute of Technology in Durgapur, India. His research focuses on pro-social behavior, motivation and self-control, choice architecture, and judgment and decision-making. Goswami’s leisure activities include yoga and collecting handicrafts from across the world. Cheryl Hall came on board as a clinical assistant professor of accounting and law. She has an MBA from the UB School of Management, a master’s in education from Pennsylvania State University and a bachelor’s in music from the State University of New York at Fredonia. Hall brings more than 25 years’ experience in public accounting to her role, with expertise in taxation of business entities, multistate taxation and accounting for income taxes. When she’s not gardening, knitting or cruising around town in her little red sports car, Hall is renovating and restoring her 1836 farmhouse. Sunyee Yoon joined the faculty as an assistant professor of marketing. She has a doctorate and a master’s degree in consumer behavior and family economics from the University of Wisconsin-Madison. In addition, she has a bachelor’s degree from Sogang University in South Korea where she was a double major in business administration and mass communication. Yoon’s research is in the areas of social status and mobility, cross-cultural differences and materialism. As a hobby, Yoon enjoys making candles at home. Her favorite is a lavender soy candle that promotes deep sleep and relaxation at night. It’s no secret men still hold the majority of leadership positions in American companies. But new School of Management research finds that when male-dominated work groups foster collaboration and communication, it’s women who are more likely to emerge as leaders. Published in Leadership Quarterly, the study examined how gender and personality affected who took leadership roles. In both temporary and long-term work teams with more men than women, the researchers found that as the group became more social, women were more likely than men to seize leadership opportunities. Video: Lemoine discusses his research. The researchers randomly assigned nearly 1,000 participants of varying ages to small groups and asked them to rate who emerged as leaders after performing a series of tasks. Interestingly, collaboration did not impact which gender emerged as leaders in teams with more women. Lemoine says their findings have implications for the masculine C-suites in many corporations, particularly given recent studies by the Peterson Institute for International Economics and Ernst & Young that found more women in management positions corresponded to higher profits. Lemoine worked on the study with Ishani Aggarwal, assistant professor in the Brazilian School of Public and Business Administration, and Laurens Bujold Steed, doctoral candidate at Georgia Institute of Technology. Video: Bezawada discusses his research on social media. 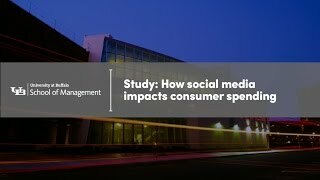 For businesses using social media, posts with high engagement have the greatest impact on customer spending, according to new research from the School of Management. In addition, the study found that businesses’ social posts significantly strengthen the effect of traditional television and email marketing efforts. When social media is combined with TV marketing, customer spending increased by 1.03 percent and cross buying by 0.84 percent. When combined with email marketing, customer spending increased by 2.02 percent and cross buying by 1.22 percent. Cross buying refers to when a customer purchases additional products or services from the same firm. Bezawada collaborated on the project with Ashish Kumar, assistant professor of marketing, Aalto University; Rishika Rishika, clinical assistant professor of marketing, University of South Carolina; Ramkumar Janakiraman, associate professor of marketing, University of South Carolina; and P.K. Kannan, Ralph J. Tyser Professor of Marketing Science, University of Maryland. Charities and nonprofits can increase engagement and revenue by setting suggested donation levels appropriate to their donors, according to new School of Management research. Published in the Journal of Marketing Research, the study found low suggested amounts increased the total number of donations, while high default amounts increased the average donation but resulted in fewer contributions overall. In a series of studies — including a university fundraising campaign sent to 7,800 past donors and a hypothetical online drive with nearly 3,500 participants — the researchers found a low suggested amount brought in more donors, regardless of the charity and the donors’ age, gender or mood. 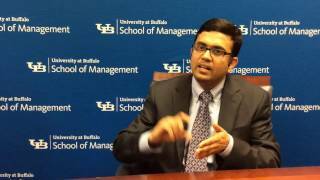 Video: Goswami shares actionable advice from his research. Conversely, for organizations with a strong set of annual donors, asking for a higher contribution can influence donors to give more. Goswami advises nonprofit directors to send targeted messages with different suggested amounts based on donors’ giving history. Goswami’s co-author is Oleg Urminsky, professor of marketing, University of Chicago Booth School of Business. Video: Dutta discusses his study. Technology entrepreneurs who get funding from venture capitalists go public sooner and have more impactful innovation than those who partner with angel investors, according to research from the School of Management. The study’s authors say angel investors bring some benefits of their own, however.